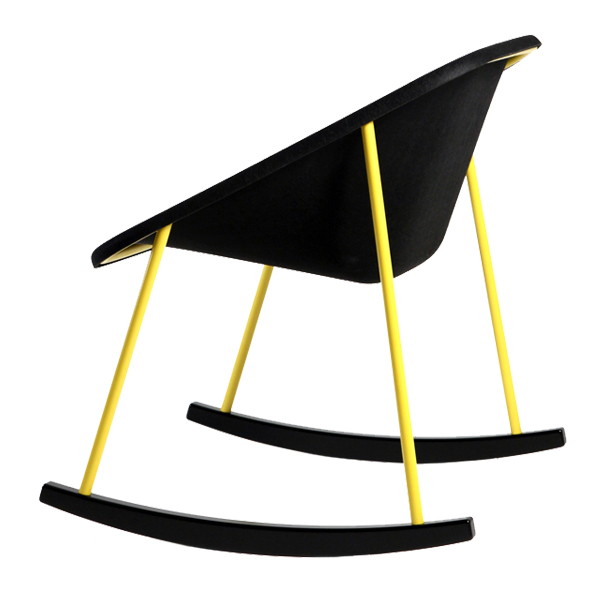 Kola is a lightweight chair whose seat has an appealing and flowing form. Kola is made of 100% recyclable moulded polyester felt with an epoxy-coated steel base. With Kola chair, you can create nice and friendly looking interiors. Kola chair suits very well in restaurants, casual meetings, waiting areas and lounges. 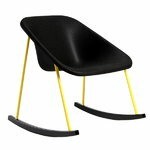 The Kola product family designed by Mikko Laakkonen has been granted the internationally recognised GOOD DESIGN Award. The GOOD DESIGN Awards are admitted by The Chicago Athenaeum: Museum of Architecture and Design together with The European Centre for Architecture Art Design and Urban Studies. Mikko Laakkonen (b. 1974) is a Finnish designer specialized in furniture and product design. He studied design at the Kymenlaakso Polytechnic (Bachelors of Arts degree) and at University of Arts and Design Helsinki (Master of Arts degree). Mikko Laakkonen has created products for several clients, including Covo, Selki-Asema, Offecct, Inno and Marimekko. His products are original, innovative and high quality. One of his most famous products is Latva, a collection of wall and floor coatracks in different colours. Latva was shown at the Milan Furniture Fair 2006 and when the company Covo saw the Latva coatrack they decided to take it into production right away. Latva is a Finnish word that means tree top and these coatracks look like beautiful and sculptural tree tops that will decorate the house and can be used also as a room divider. You can put your belongings on Latva’s branches or leave it empty, like a beautiful sculpture. You can also put several Latva coat racks in a row and this way you will create a thicket like space divider, perfect in any room. The wall version of Latva coatrack is a tribute to traditional wood decoration of the Nordic countries. Mikko Laakkonen works with various national and international clients and his projects are mainly in the field of furniture design, product design or interior architecture. Another functional and at the same time elegant product is Vege pan, a cast iron pan with handle made of birch, designed for Selki-Asema. The Vege pan has a floral pattern on it which will create a nice decoration on the food cooked in the cast iron pan. In 2010 Mikko Laakkonen designed Lumme office containers for Marimekko. The designer has participated in many exhibitions, including Milan Furniture Fair and Helsinki Design Week, and was nominated Young Designer of the Year 2009.